Not Losing Weight Eating Low Carb? If you have been eating low carb but you’re not losing weight, or not experiencing the success you expected, you’ll want to read this. This topic arose out of several discussions in the low carb group. 1. Are You Tracking Your Carbs & Fat/Protein Ratios Properly? First, make sure you are tracking your meals properly. I highly recommend you use MyFitnessPal with this Net Carb Hack. It’s very easy to set up, and so many people who were struggling found it VERY eye opening (myself included!). If you’re just “eyeballing it” or writing down your carbs on paper, you’re not getting the whole picture. It’s VERY easy for carbs to creep up on you or into your diet. Tracking is GREAT for personal accountability. It forces you to be more conscious of every single thing you put in your mouth. It’s also a great way to keep up with your weight loss progress, track your fat & protein ratios, and keep an eye on your calories. Potential culprits include: carb creep, eating too much protein, not eating enough healthy fats (eating too lean), not eating enough (calories too low), or perhaps needing to lower your calories. We don’t usually watch calories on a low carb diet, it doesn’t hurt to keep an eye on your overall stats when you’re trying to determine what may be affecting your weight loss. There is a science to the way a low carb diet works, and healthy fats are critical. When you eat super low carb, you go into ketosis where your body burns fat for energy instead of carbs/sugar. If you eat too lean, your weight loss WILL STALL as your body won’t know what to burn for energy. 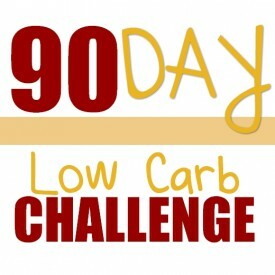 * Your goal is 20 net carbs per day (max), with at least 70% of your daily calories coming from healthy fats. 2. Your Body Is Adjusting. Don’t Do Anything Drastic! When you first start eating low carb, or get back on track, you generally experience great weight loss in the first week or two. It’s very common to experience a brief “hold”, or even slight fluctuations on the scale, after this initial weight loss. THIS IS TOTALLY NORMAL. It’s your body adjusting. This “stall” usually happens during week two or week three. Unfortunately this is when most people sabotage their diet. You might get discouraged after a few days of not seeing the scales move, and decide “screw it” and just eat whatever you want. Common “stall” culprits include: cheese, cream cheese, artificial sweeteners, sugar free & processed foods, bars & shakes, and complicated recipes. When you are tracking closely it’s easy to look back over your daily journals and see what you may be doing differently that could be causing your weight loss progress to stall. Note: Cheese is low carb, but you should only eat 4 ounces a day max. You should be getting 12-15 net carbs a day in low carb vegetables. If you are making complex multi-ingredient recipes, make sure you are tracking every single ingredient AND portions/servings. You can do this easily using the Recipe Calculator in MyFitnessPal. Don’t compare yourself to others. This is a surefire way to get yourself discouraged! People who have more weight to lose will lose faster than someone who doesn’t. For example, someone that needs to lose 200 pounds may lose 20 pounds the first month, where someone who needs to lose 20 pounds may lose 4 pounds the first month. There are many other variables at play too, such as how big a lifestyle change it was for one person over another. Let’s say one person quit drinking sodas when they started the low carb diet. They will lose a lot of weight upfront, compared to someone that didn’t drink soda at all to begin with. Men lose weight faster than women. Younger people lose weight faster. First-time low-carbers lose weight faster. Yo-Yo Dieters will lose weight slower in the beginning. Your body and lifestyle are unique to you, and your weight loss journey is yours. Variables include age, medications, health issues, lifestyle, stress levels, etc. Scale fluctuations and brief “stalls” are totally normal on your weight loss journey. The key is to eat healthy not just for “instant gratification” (ie, fast weight loss) but also as a means of reaping ALL of the health benefits of a healthy low carb / ketogenic diet. This includes your heart health, controlling diabetes, reducing or eliminating arthritis and fibromyalgia symptoms, controlling your blood sugar, etc. Keep your goal in mind, and commit to a healthy lifestyle change that will naturally take the weight off your body over time. You may lose inches even when the scales say you’re not losing pounds. You should measure yourself and track your progress in both inches AND pounds. There have been amazing stories from people that lost several sizes and many inches – without seeing a noticeable difference on the scale. Crazy but true! Are You Weighing Yourself Properly? Your weight will fluctuate five pounds or more throughout a single day. You should always weigh yourself at the same time of day, on the same scales, wearing the same amount of clothes (or none). The ideal time to weigh yourself is first thing in the morning after you pee. This is the only way to get an accurate reading. If you already have a great scale, make sure you also have a way to measure. 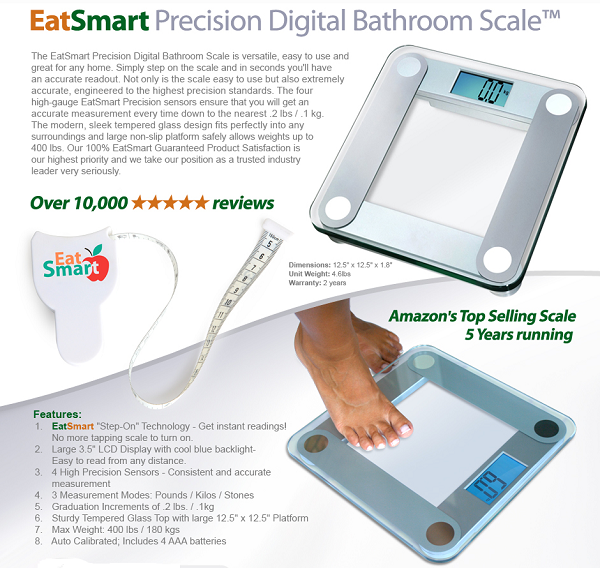 I already had the Eatsmart scale before they started including a free body tape measure so I just ordered the Fit & Fresh Body Tape Measure, Locking Pin and Push-Button Retraction from Amazon this week myself. It’s inexpensive, and an easy way to take your own body measurements (without needing an extra hand to hold the tape or look at the numbers!). There is a place in MyFitnessPal to log your measurements as well as your weight loss. It’s the “Check In” link. Tracking your foods, drinks, pounds lost AND inches lost in MFP is a great way to keep close track of your overall weight loss journey. You’ll feel GREAT seeing the progress you’re making, and being IN TOTAL CONTROL of your health! I hope this helps you tweak your low carb diet to see better success. 58 Responses to Not Losing Weight Eating Low Carb? I take multiple supplements and did call life extension to check on the carbs in them. I got no answer. Do you know any place I might find this??? Hi Kathy! Have you tried to Google each supplement to find the nutrition facts on those? Do you feel they are affecting your ability to lose weight? I use the following vitamins and have found them to be the best choice thus far. I don’t know what the carb count is, so will be reading the label today. Well im not sure exactly when I started, I guess I should’ve marked that down, but it has been at least 3-4 weeks. And I know my weight loss has only been 5 lbs. Im usually a mostly healthy eater, I drink water, used to eat fruit and good things but always ate carbs too. Ive cut them out now but no great weight loss. Out of the 4 points you listed, I guess maybe im not tracking perfectly. Im not sure how to use the tracker so I can try that again. Im discouraged with the small amount of weight loss and like I said, this has happened to me before. Could I be a non responder to this way of eating? How can so many people lose weight except me??? Hi Laura! How much weight do you think you need to lose? 5 pounds in a few weeks is not bad at all! I lose on average about a pound a week usually. I’ve been using Fitness Pal and my carbs have remained below 30 over the past two weeks. I’m not in ketosis and have not lost weight. My question to you is the issue of fats: it seems as though high fat is important, but could I be including too much fat in my diet? Things like uncured bacon, pepperoni and of course, cheese. I do not want to quit because I now this is a successful way of life for many. I want it to work for me. I have about 50 lbs to lose. Thanks for your suggestions. I recommend making a few slight modifications. First, go to 20 net carbs a day or less. Next, cut out cheese for two weeks and see if that makes a difference. For healthy fats, I easily meet my macro goals with real foods (unprocessed) like: pecans, walnuts, avocado, salmon, tuna, egg salad, etc. Also choose ribeye instead of sirloin, chicken thighs baked in their own skin & juices instead of chicken breast, salmon instead of other non-fatty fishes, etc. Lynn I am having the same problem , and you don’t count calories? I thought we could eat anything as long as it was protein. No, I don’t count calories. You can see my calories in my daily food journals here on the blog. You need to get at least 70% of your calories from healthy fats. Eating too lean will stall your weight loss. Eating high protein (and NOT high fat) could cause kidney problems, among other things. Where do you have a list of RDI’s for each food item? When you mentioned the 4 ounce of cheese where did you get that info from? That would help in picking the right amount of protein as well and like you said not to eat too much protein. Just wondering where I can get that information from. Also what would 70% fat intake look like? Sorry I’m bad with measurements. Is it in the website you mentioned? Otherwise, for amount of food – I often look at the menu or package. You can get kitchen scales and weigh & measure your food properly that way. But if I’m eating out, and order a 12oz Ribeye, then I know how many ounces it is. Or if I’m cooking a pound of ground chuck, I have the weight from the package. I have been lchf for 3 months, and had great success in the beginning. Slowly I was starting to feel fat again. I was about to quit, thinking that it was just not working for me. Thanks to your tip, I started tracking what I was eating. It made a difference in just one day! The next morning I felt completely back on track. It was amazing really. Reading, and re-reading your site is great. I really appreciate how simple you have made going low carb! Thank you! Thank you Annette! Simple is GOOD. 🙂 Tracking is definitely key. That’s when so many of us saw a big change. I’m so glad it’s working out great for you too!! I’m curious what kind of things you eat with the coconut oil? These and your “cereal” are two of my fav things I have found on my LC journey so far! Hi Holly 🙂 I mix together: 1/2 cup pecan pieces (60 grams) with 1/4 cup Daisy Brand cottage cheese and 4 small diced strawberries. Sometimes I also add 18 grams of diced blueberries. I. Bought 2 containers of Daisy cottage cheese today and Pecans. I miss your ” cereal” i have not had it for a few months now. It is a staple for me. I love it with frozen strawberries and or blueberries. I love it! I keep seeing lists of healthy fats. What are the non-healthy fats, the ones we should NOT be eating? See: http://www.travelinglowcarb.com/4393/healthy-fats-and-super-foods/ Healthy fats include pecans, walnuts, avocado, salmon, tuna, real butter, etc. Here’s my problem…most of the things listed for fats. ..I’m allergic to all nuts except cashews and sunflowers and I hate fish. Soo I’ve added coconut oils for cooking and I’ll give avocados a chance. What else can I try? There are all sorts of ways to enjoy healthy fats in your diet. Use chicken thighs instead of breasts – and chicken wings are good too! I like the “Naked Wings” from Pizza Hut. 🙂 Egg Salad, Tuna Salad, Cucumber Salad – all good options. I like avocado salted & fried in olive oil or butter. It’s delicious browned up crisp! If you’re tracking your foods in MyFitnessPal, you’ll be able to easily see which foods are naturally higher in fat, and which are your good sources of protein, etc. I don’t have money for a fitness pal: I was told by sparkpeople.com, a nutrition book and the internet to and the carbs say 50 which would = 25 and ad it with the fiber to get the net carb which would = 27. That is just one food. Plus, I only eat red meat once a week, baked chicken, Gordon’s multi grained fish or fresh fish, collards, lettuce, watermelon and grapes. I exercise 6 days a week, 5 days cardio and 2 days weights. I will continue with my belly dance and ball room at the end of September. I lost 24 pounds by not drinking pop or eating bread and no dairy except Slim Fast. Please help on this carb counting thing. Congrats on your 24 pounds lost!! I didn’t understand the first part about what they said you should do. I eat 20 net carbs a day only, and it’s very easy to do. There are many low carb foods to enjoy, you just have to choose the combinations of low carb foods that work best for you – and your preferences. What are your thoughts on mayonnaise and miracle whip? I like that in my tuna fish with celery and sweet onion. And thru your blogs you mentioned above ground vegetables I thought that was very clever. I cook so I do use onions (below ground). The cheese thing has been lately a problem, as I grab a mozzarella stick as it is easy heading to tread mill. After reading you, I truly need to get back to plain meals. 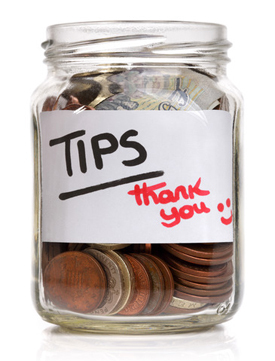 In two days you have helped more than the ten books I have on low carb eating, as they make it complicated. Thanks for your insight. I have been not strict on this low carb but I have cut sugar white flour rice pasta all breads etc. have had corn tortilla when I wanted a Mexican treat. Since April I have felt amazing and I will be a every day reader of you! And by the way you are darling’personality as well as looks. 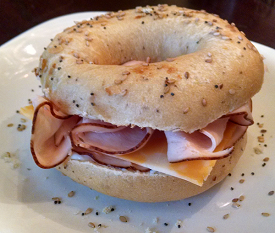 I use Duke’s Mayo now – but prior I used Kraft or Hellman’s (real mayo). Duke’s is the only brand with ZERO sugar, and it tastes great! There are a few exceptions to the above/below veggie rule. You simply need to count for the amount of onion you use. I use this search: http://ndb.nal.usda.gov/ndb/search to look up counts for produce. Are you still tracking super close? If so, what are your fat/protein ratios like most days? Are you getting at least 70% of your calories from healthy fats? Do you use HWC (heavy whipping cream)? If so, are you counting the carbs in that? It’s 1 carb per 2 TBSP, or 7 carbs per cup. ALL of them say zero carbs on the label, but they can do that because it’s less than 1 carb per TBSP(serving). Cut out cheese, cream cheese, BPC, fat bombs, bars/shakes, and any processed foods – if you use any of that. As a start. I always believed that a 1″ cube equals only one ounce of cheese (depending on type of cheese, but close). And a slice of cheese = one ounce, not four ounces. What kind of slices are you using!? I am struggling with weight loss on this WOE. My ratios are good, I track and weigh everything. No processed foods, eat real food, not too much cheese – all the things you say to do I am doing. I have about 15 to 20 pounds to lose. The only thing I can think is my calories are too low – they usually don’t go over 1300. I am currently not exercising due to work schedule – my job is sedentary. I have lost probably 4 pounds in 4 months. HELP! Are you doing at least 70% fat consistently? If so, try increasing that to 80% fat with good healthy fats: pecans, avocado, salmon, etc. Lynn – My Macros are below. For the most part my fat is over 70% everyday. Had a few late night meetings and missed dinner. That is not common. I do eat rather simple as I am not one to cook very often. The last 20 pounds are definitely the most challenging. When did you start eating low carb, how long have you eaten low carb consistently (with those macros) and how much weight have you lost total? Has anything changed in the last 4 months to slow down your weight loss? Perhaps something you started or stopped, medication maybe, stress, or anything else different you can think of as a potential culprit? I am about to try this way of eating yet again. I was on the Adkins diet about 10 years ago and lost 42 pounds and felt great! Well I felt so great that I started eating anything I wanted and gained all my lost weight and then some. About 2 months ago I tried going on a low carb diet again. I did not cheat even once and I lost ZERO pounds. I am trying to figure out what I did wrong this time. The only 2 things I can come up with are either the vitamins I take every day (which I didn’t 10 years ago when I lost all that weight) or what I am drinking. I only drink water or sparkling water, Mio, or diet soda. Every drink that I consume says ZERO carbs. I do not know what I am doing wrong and am almost afraid to try again in case I fail. Please help with some suggestions. Thank you so much! When you say you lost ZERO pounds two months ago – how long did you eat low carb, how were you tracking, and did your weight fluctuate at all in the amount of time you tried it? Any details you can share would help, including your macros during that time – did you do 20 net carbs max, 70% fat minimum? I ate low carb this time for 2 months. I didn’t really track my intake other than knowing to eat only meat and green vegetables. I would eat some eggs and cheese. I actually gained a few pounds and lost nothing. I never went over 20 carbs per day and I am not too sure what macros are. I have never been on your diet, just the Atkins diet. I am afraid my lack of success has to do with what I am drinking or the vitamins I am taking. I am going to start this diet within a week and kind of afraid I am going to fail again when I feel I am doing everything right. What do you suggest? Why do you feel your vitamins would affect your weight loss – what are they? It’s important to 1) only weigh yourself first thing in the morning, right after you pee (that’s the only accurate weight) – and also to take measurements. I am going to start tracking what I eat and see the carb count. If anything I can say it would be that I was not eating enough green vegetables and focused mainly on meats and eggs and cheese. I read somewhere that you wrote to limit your cheese to only 4 oz a day. I was eating wayyyyyyy more sharp cheddar than that even though it has zero carbs. Could that be a reason I did not lose anything? The reason I am pointing to vitamins is because I had no problem losing the weight 10 years ago but I was also not taking all these vitamins then. Start logging and see if you are getting at least 70% fat. That’s the key. If you eat any leaner, you may not lose weight at all. Due to the science behind a LCHF diet (Atkins / Keto / low carb high fat). That’s exactly what stalled me the first time before I started tracking! None of my vitamins are chewables or gummies. I looked closer at some of my vitamins I take and the 5,000mcg Biotin I take has gelatin and whey in it. I tried to google each vitamin I take separately and it looks like none of them have carbs or I can not find the carb content. What I did find interesting though was the probiotic blend I take. Google said that it does have carbs in it but it does not say how much. I think you might be right about the cheese. Even though sharp cheddar has zero carbs(according to the nutritional label) there is tons of fat in the cheese. I will take your advice and start with only eating 1 oz a day and see if that helps. I am also going to eliminate most of my vitamins with the exception of Calcium (which my doctor says I have to take) and vitamin D3. What do you think about biotin and chromium picolinate? I would also like your feedback on Garcinia Cambogia. Is it wise to take this while on this diet? Thank you for all your time in answering my questions! I’m not qualified to speak on vitamins and supplements, but I don’t recommend the Garcinia Cambogia. That one caused my daughter problems (kidneys/UTI) and you don’t really need a metabolism or weight loss pill of any kind on a low carb diet. As for the cheese, fat is GOOD. Just make sure you use real cheese (a block of cheese, and shred or slice yourself). And count it at 1 carb per ounce, no matter what the label says. I started losing weight as soon as I cut down my protein intake. And my progress speeds up when I track my nutrients. I have a question… I am still confused about how My Fitness Pal displays carbs. So far I have been tracking the Carbs column as net carbs for my daily entries. However, from the discussion in the Facebook group I understand that the Carbs column displays total carbs (including fiber). I have looked at my Carb Zone bread entry as an example. It shows 5g carbs and 7g fiber for 2 slices. I have checked the label, and it shows 7.5g carbs and 14g fiber per 100g. If I take away fiber from carbs to get net carbs, I get a negative number in both cases. It looks like the Carbs column already displays net carbs… Could you clear the confusion please? Thank you! I started this last week. I am using my Fitbit app to track food. It shows me the macros but do you think it is as good as the one you suggest? I want to make sure I am doing this correctly. I have a Fitbit as well, but I use MyFitnessPal to track my meals and macros. The great thing is, the two sync together. 🙂 Set up MyFitnessPal and sync them! See: http://www.travelinglowcarb.com/7006/macronutrients/ That’s a simple illustration & explanation of what you need to track, and how to track it.